With their self-titled debut, V3 has turned heads with their first entry on EMI Gospel, and are making a splash in the industry. 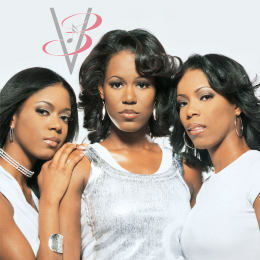 The Atlanta-based trio of Latoya, Shelly and Sasha Vinson spoke with GOSPELflava.com about their album, their influences and their heart for young people. GOSPELflava.com: There are many girl groups out now, and it seems that the industry is full of groups that have similar styles. What makes V3 stand out? Latoya: Everyone has their signature sound, and when you hear that, you can identify the group. I think that we have a sweet sound. We're not the hand-clapping, foot-stomping group, but we can take it there too. GOSPELflava.com: Who are your musical influences? Latoya: My mom, Carolyn Vincent, use to be a Gospel DJ and we always had a lot of music in the house. She also directed a children's choir and I always looked at her as an influence. She wrote a song called "Peanut Butter and Jelly" that was popular in the 70's [sung by The Truthettes, on Malaco]. I also looked to Commissioned, BeBe and CeCe Winans, The Clark Sisters and Andrae Crouch. Take 6 brought something different to the table. Shelly: The Clarks, the Winans family, Andrae Crouch, Commissioned, Witness and Deitrick Haddon. CeCe Winans is one of my favorites. Sasha: I would have to say Virtue. We first wanted to be a group after seeing them. I also like Mary Mary. We have met them on several occasions and they are beautiful people inside and out. GOSPELflava.com: Your CD debut has several stand-out songs. One of them that gets people moving is "Take Me There". Then you have the pop tune, “Love Makes the World Beautiful" How did those songs come together? Shelly: The producers of “Take Me There” are Robert Marvin and Josiah Bell, aka Doubledutch. They brought in Aaron Pierce to co-write the song. We got stuck in the middle so to speak. The song is just saying that wherever God wants to take us, that's where we will go. "Love Makes the World Beautiful", was produced by Antonio Neal, who is just a great writer. He creates such a visual picture of what is going on in the world today. It seems to be getting worse in the world. The song is just saying that God's love is going to make this world a better place. GOSPELflava.com: You clearly have a big heart for ministry. Tell us where you believe God is taking you? Shelly: My heart is towards the young people and I believe that is who God is leading us to. He has taken us through so many things that we could minister and tell to others. We have become youth leaders at our church, and God has put us in a place to lead many people. We are in talks with the Boys and Girls Clubs on some ventures. We want to show the young people a positive alternative to what is going on today, and it is important that people see a positive and fun way to live their lives. I believe that God is pushing us to different venues to do so. GOSPELflava.com: Like your peers, Out of Eden, The Clark Sisters, Virtue and Mary Mary, you three are also a ‘sisters group’. How is it working with siblings? Shelly: We three are the youngest of our family. God just started giving Latoya songs. We would sing and have a good time. We had a great harmony and it just blossomed into V3. I love singing with my sisters. Latoya: We all do different things. I'll contribute songs and vocal harmony. Sasha is the fashion consultant, mommy and business person of the group. So it is easy to work with family. GOSPELflava.com: Any particular words of advice you want to offer to those looking to emulate you in their endeavors? Sasha: Pray and make sure that God is leading, and that it's meant for you to be an artist. If it is, focus and practice. Latoya: Work on your craft daily. This was a long process and you have to have patience. You also have to surround yourselves with people who are going to support you. Shelly: I agree 100% with what my sisters said. Don't give up. Ask God to help you in the process. Get behind the scenes, and do some background singing. You can see make sure that this is what you want to do. Make sure that your life is spiritually grounded and that you are physically up to par.